In ninety-two years he has witnessed, experienced and recounted innumerable stories. On this occasion, however, the stories are about him. Anecdotes, encounters, events and memories link up into a kind of autobiography, the most complete account of his life he has ever given. Personal episodes intertwine with family memories. One example: the police inspector Carmelo Camilleri, a fascist, carried out an investigation into an attempt on the king’s life in 1928. Discovering the culprits in the ranks of his own party, out of respect for justice he reported them to his superiors. His reward? He was arrested and sent into internal exile. Many years later, this man would be the inspiration behind the character Montalbano. The book is enriched by drawings by Gipi, Lorenzo Mattotti, Guido Scarabottolo, Alessandro Gottardo and Olimpia Zagnoli. 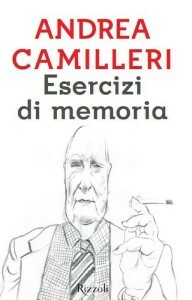 The cover design is by Tullio Pericoli.